Elora couldn’t take her eyes off the assassins. They each held a dagger in one hand and a throwing knife in the other, knees bent, crossing one foot in front of the other, seemingly waiting for the other to make the first move. Guilt rushed over her. Although she wasn’t particularly fond of Mordecai, she didn’t want him to be killed because of her scheme to notify the Assembly. And if he died, she and Nigel would surely follow. 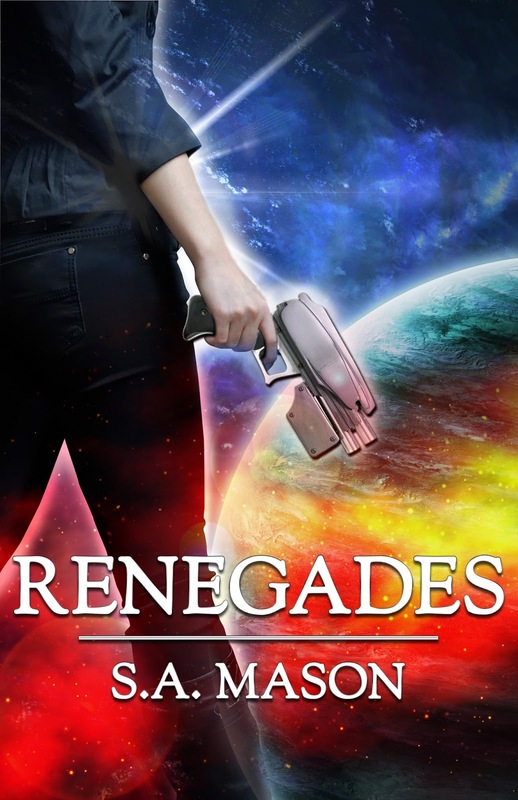 “I have orders to spare you if you kill the renegades,” the woman said in a clear, even tone. Without hesitation, Mordecai threw the knife, but the woman rolled forward, landed on her feet, and lunged at Mordecai with her dagger. Mordecai dodged the attack easily over the smooth dirt floor. His long reach with the dagger slashed the woman’s arm, but she didn’t falter. The blood trickling down her arm and onto her dagger didn’t seem to bother her. They exchanged blows and parries so quickly Elora couldn’t tell if Mordecai was winning or losing. Blades clanked and blood spattered on the dirt walls. But they kept moving. Elora didn’t have training in hand-to-hand combat, but she knew Mordecai was good. He was quick and seemed to anticipate every move the woman made. The problem was the woman seemed to be just as intuitive as him. They moved around the room in a blur, neither missing a step. Elora saw a male assassin come in through an air duct beside the fireplace, but before she could even yell out a warning, Mordecai threw a knife behind his back, sinking it into the man’s eye without taking his attention off the woman. He must have seen the man’s reflection in one of the woman’s daggers. Elora tried not to feel impressed by his remarkable ability to kill. Mordecai ran up the wall beside the fireplace, flipped over the woman, and plunged his dagger down the woman’s shoulder blade as he landed on his feet. She crumbled to her knees and fell forward. Two more assassins bolted through the main entrance, running straight at Mordecai, one after the other. In one fluid motion, Mordecai slit the first man’s throat. Blood sprayed all over the floor while the man squirmed for a few seconds before falling still. The second assassin was already on the floor with a shattered leg. The man’s femur was broken, and it pierced the skin. Elora couldn’t turn away even though she was disgusted by what she saw. The downed assassin didn’t show any pain. Mordecai stood over him. “I will do it.” The assassin looked up at Mordecai, who didn’t respond. The assassin took his own dagger and stabbed himself in the heart, falling limp a second later. Before yesterday, Elora had never seen a person killed, and now she hardly registered a man taking his own life. Mordecai kept a dagger in his hand and checked the body of the other male assassin who came in the main entrance. Apparently satisfied he was dead, Mordecai locked the only entrance into the bunker and boarded up the fireplace and air duct. Elora checked on Nigel, who was still huddled by the corner of the bed. He wasn’t injured, but was obviously in shock. Elora moved into the main room. The metallic smell of blood surrounded her. Elora fell to her hands and knees and started heaving. Mordecai pulled her hair away from her face until she was finished. “Nausea is a common reaction as the adrenaline leaves your system,” Mordecai said. Elora could only reply with more vomiting. “Thank you,” she replied a few minutes later as she wiped her mouth. While Elora tried to gather her thoughts, Mordecai collected weapons from around the room, cleaned them, and put them in their proper place in his jacket. “Where were you? I didn’t think you were here.” Elora’s voice shook.